The scenic beauty of Oregon is legend. What many people don’t know about this majestic state is that it is home to a large number of salmon, trout and steelhead fisheries. The multiple fresh water venues in the state are a fantastic breeding ground for these fish, which makes Oregon a fantastic place to go fishing. It’s also a great way to reconnect with nature, breathe fresh air and find peace. Does that sound appealing to you for your summer activities? Would you like to know of some great places to go? With more than 360 miles of coastline, Oregon presents endless opportunities along its entire length for angling. On the southern coast, below Port Orford, salmon angling is closed as of now, as part of the ‘protect future stock of Chinook movement 2017’. The authorities are hopeful that by next year, the South Coast will reopen. But, if we talk about the North of Port Orford, then the Chinook and Coho season is expected to go strong up until mid-summer. So if you’re in the mood for fishing in this beautiful part of the state, then check out the northern area of Port Orford and see what kind of Chinook or Coho you can catch! The second name on the list is the Willamette Valley. 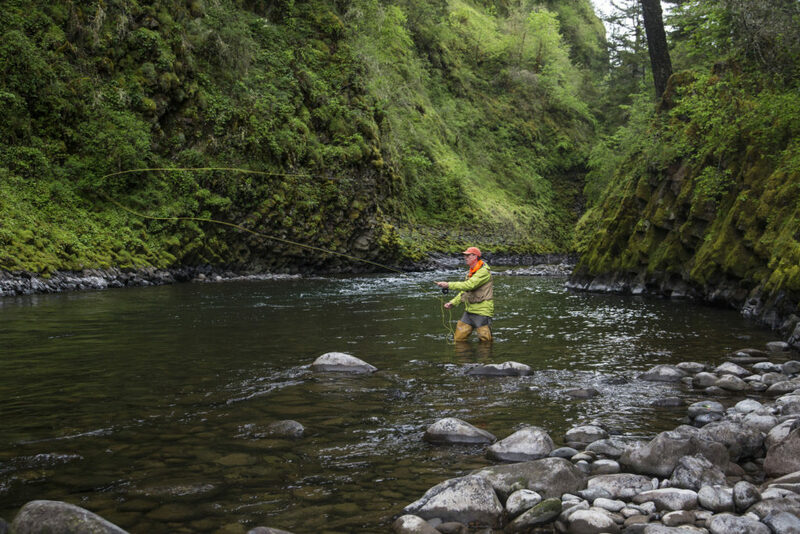 The most populated region in Oregon, the valley offers anglers quite a number of opportunities to wet a line. You can expect to find species like Smallmouth Bass in the Willamette River. You can also expect to get trout and steelhead in the upper reaches of the valley. The North Santiam River is a place for a fantastic fishing experience in the month of July, as it one of the major tributaries of the region. Other amazing locations are anywhere along the McKenzie River, as well as easy-to-reach lakes like Dexter and Detroit lakes, as well as the Dorena and Foster reservoirs, which are breeding grounds for species like bass, kokanee, trout and many more. The last name that we have on the list is that of the region of Mt Hood. Home to many small rivers and peaceful lakes, the Mt Hood area is famous for species like Trout. 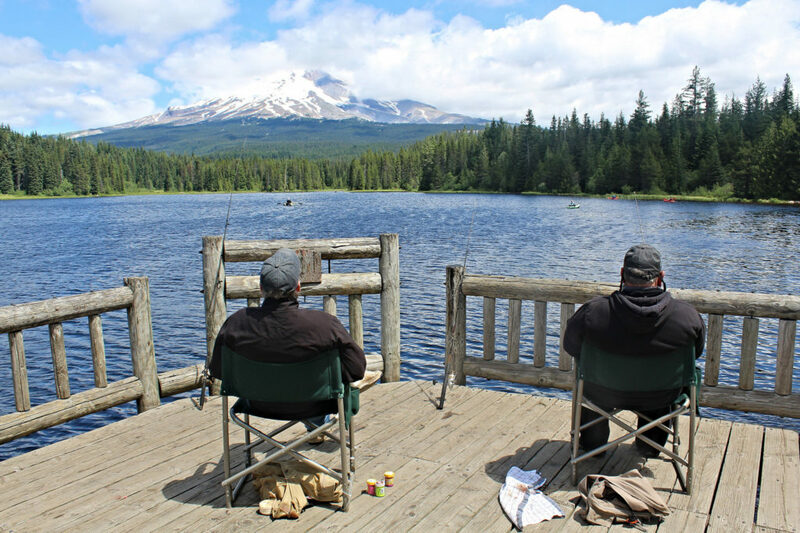 From the Timothy and Trillium Lake to the biggest river in Oregon – the Columbia – this region represents great opportunities to fish for trout. If bigger game is appealing, during summers the Columbia is open to bass and sturgeon fishing. The Bonneville Dam is a great place for sturgeon angling as well. 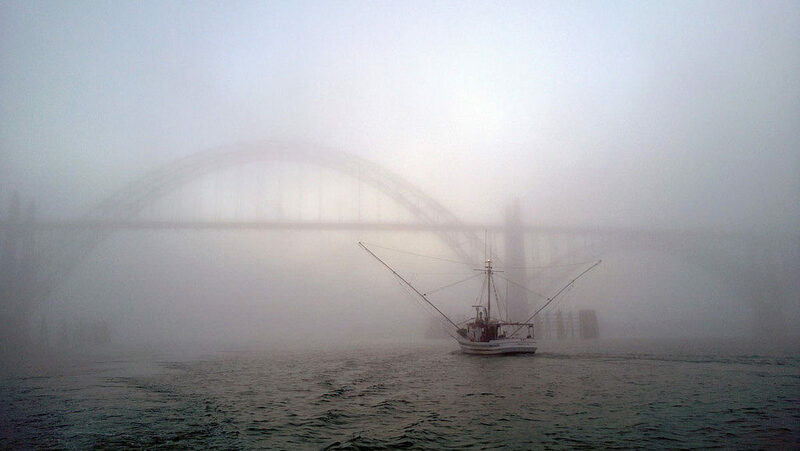 So, are you ready to adorn the fisher’s hat and go fishing in these special regions in Oregon? Before you do, don’t forget that you’ll need an angler’s license, which you can purchase from the Oregon Department of Fish and Wildlife. It will give you an idea about the latest fishing regulations and all the info before you hit the road.